Summer is prime cycling season in Colorado, and Durango is one of the best places to explore the stunning San Juan Mountains and lush Animas River Valley. With more than 2,000 miles of mountain bike trails and hundreds of miles of paved roadway, Durango is known as a biking haven. Whether you’re a roadie or a single-track kind of cyclist, Durango has plenty of rides for all your two-wheeled, leg-powered needs. Several road rides start just outside your room at the Durango Quality Inn. View from Baker’s Bridge. Not too shabby for a road ride. Baker’s Bridge: This 30-mile trek is known by locals as “The Long Valley” because it takes you through the Animas River Valley. The route technically begins at City Market on Main Avenue, near Ninth Street. But if you stay with us, you can shave off about 1.7 miles because you’ll turn right onto Main Avenue from our hotel (at 2930 N. Main Ave.) and take a right onto 32nd Street. Follow 32nd Street until it T-bones at County Road 250 and turn left. 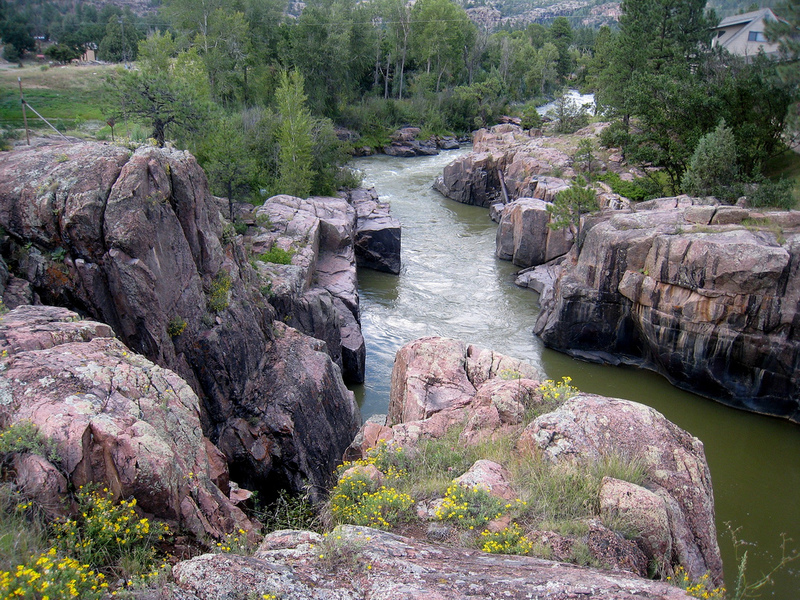 Continue on CR 250 all the way to Baker’s Bridge, where you’ll cross the Animas River and intersect with U.S. Highway 550. Take a left onto U.S. 550 and follow it past Honeyville and Hermosa, then turn right onto County Road 203, just past the railroad tracks. CR 203 will bring you back into Durango and join up with Main Avenue — and boom, you’re right back at the Durango Quality Inn. Trimble Loop: Area bikers call this 15-mile trip “The Short Valley” because it’s a shortened version of the Baker’s Bridge route. It starts off the same as the Baker’s Bridge trek, but once you’re on CR 250, take a left on County Road 252 (also called Trimble Lane). That takes you to U.S. 550, and you’ll come home the same way: U.S. 550 to CR 203. Durango to Silverton: This ride is a bit more serious; it totals 50 miles one way and includes two mountain passes, both at elevations of more than 10,000 feet. You’ll also climb about 6,000 feet on the way to Silverton. The trip begins on Main Avenue/U.S. 550 (again, our hotel’s doorstep) and winds through scenic mountain passes to Silverton. You can also arrange to take the Durango & Silverton train to Silverton and ride your bike back to Durango. More Durango road rides can be found here. But if you want to get off the pavement and into some dirt, Durango also offers plenty of mountain bike trails, many of which you can start from the Durango Quality Inn. Colorado Trail – Hoffheins Connection: This 20-mile, single-track loop starts at 25th Street, just four blocks south of our hotel at 29th Street and Main Avenue. From Main Avenue, head west on 25th Street, which turns into Junction Creek Road. After the paved road ends, the Colorado Trail begins on the left side of the road (about 4 miles from Main Avenue). Look for a parking area near the trailhead and follow the trail along the creek, crossing over the bridge, until you reach Gudy’s Rest. Just past Gudy’s Rest, take a left on the Hoffheins Connection trail. From there, it’s all down hill to Lightner Creek Road, which will take you to U.S. Highway 160. Turn left (east) onto U.S. 160 to get back to Durango. Horse Gulch Trail: This trek starts in town at Eighth Avenue and Third Street, about 3 miles south of our hotel. The start of the trail is up a rocky, 4-wheel drive trail, but it quickly calms down and turns into meadows. At the top of the dirt road, you can turn left or right. Taking a right will take you into the meadows, where signs will lead you to a few different trails. Turning left leads you to a more difficult section that goes up the ridge face for some climbs and descents. Hermosa Creek Trail: This 20-mile (one way) ride leads from Purgatory to Hermosa and is one of Durango’s most popular single-track trails. Many people do the trail as a “shuttle trip,” taking a shuttle to the top of the trailhead and being picked up at the bottom. The trail starts high in the San Juan Mountains, west of the Durango Mountain Resort, and follows Hermosa Creek down until ending at a campground near the town of Hermosa. Bikers will enjoy technical sections, stream crossings, impressive descents and amazing scenery. 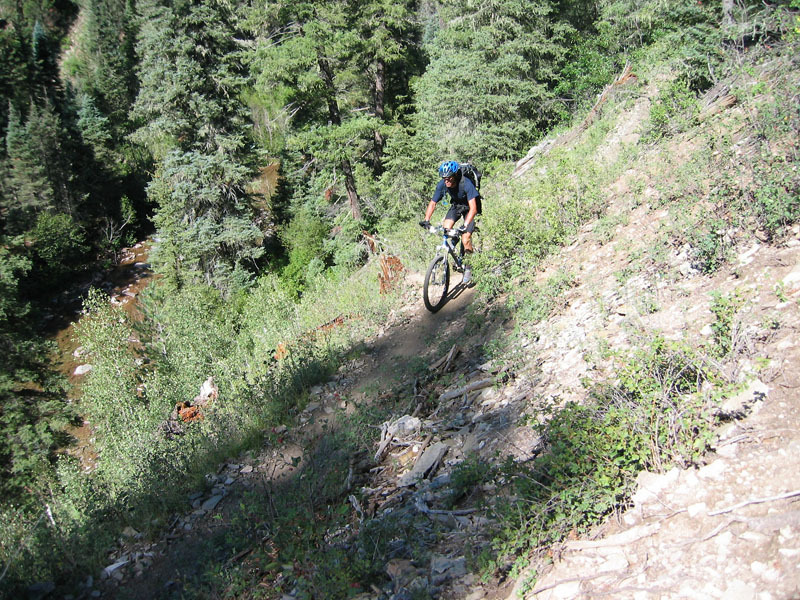 You can find more Durango mountain bike trails here. We know you’ll be tuckered out after all that biking, so be sure you book your room at the Durango Quality Inn to rest your weary legs!